BIOSUN GmbH is one of those ambitious German medium-sized enterprises economic experts and consumers unanimously consider the best of Germany’s economy: BIOSUN is innovative, environmentally conscious and enjoys an increasing demand. Furthermore, BIOSUN creates professional jobs and contributes to some extent to the German export quota by its successful international sales. How did we achieve all this within only two decades? What is the basis of the reputation as specialists for alternative wellness- and health products we have with consumers, alternative practitioners and naturopaths, pharmacists and physicians? When BIOSUN started off in 1983, only few people had ever heard the notion "wellness". No trend, just belief made economist Udo Leschik market the bio energetic cell energy cream that was developed by naturopaths. He was proven right by the increasing demand for that first BIOSUN product line. Until now, the bio-energy product family, in its advanced edition, remains one of the crucial part lines of our company. The second BIOSUN product which was to become a huge success, was discovered incidentally by Udo Leschik only a short time later on a trip to the the United States. He learned about the culture and medicine of the Hopi Indians, where Earcandles have always played an important role. By introducing the Original BIOSUN Hopi Earcandle to the European market, BIOSUN established popularity of that ancient therapeutic means. Today BIOSUN supplies 36 countries with Earcandles and is a market leader in that unique healing and relaxing therapy. Since then, therapists have helped BIOSUN to develop a wide range of innovative Aroma Earcandles, Aroma Essences to match and relaxation music. The intuitive beliefs of BIOSUN‘s foundation years have been transformed into clear ethical principles. •Our core competence is in products based on a holistic view of body, soul and mind. BIOSUN‘s development of wellness concepts, remedies and caring products has ever since been our main objective. •In our premises in Schwalbach, 37 qualified and dedicated employees are responsible for excellent products, highest quality, delivery on time and for a friendly communication with our customers at home and abroad. BIOSUN’s roots are in the field of health. Additionally, the wellness market with its dynamically increasing demand is promising to the future of our company. Revital are the official UK agents and importers for BIOSUN. 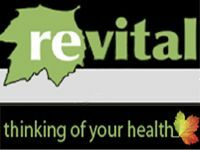 Revital have over 20 years of excellence in supplying health foods, supplements and everything you need for your health and wellbeing. Revital is now the UK’s largest independent health product retailer.